You get once chance to make a first impression. This rings true in any and all aspects of life. Imagine going to a networking event in your sweats and a t-shirt. Chances are, you aren’t going to make very many connections. While it sounds shallow that people judge you from the moment they see you based on how you look, it’s just a fact of life. And in business, it can mean the difference between sealing the deal and going broke. Image Therapy expert, Liana Chouli is going to help you dress for success! 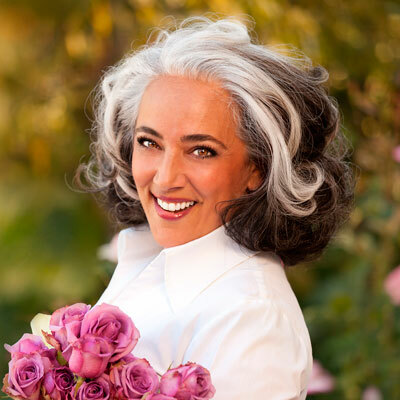 Liana Chaouli, (pronounced sha-oo-li), is the President and Founder of Image Therapists International Inc. and a globally recognized thought leader , style expert and educator. Ms. Chaouli, provides transformation through the empowerment of wardrobe. She has spent two decades consulting CEOs, celebrities, and political figures on matters of self-image. As the developer of Image Therapy™, she works closely with her clients on their personal and professional presence using analysis, physical appearance, and education to adjust attitudes affecting self-esteem and overall sense of worth. Her clients include Bob Mackie, The Canfield Training Group, IBM, Nordstrom's, Coldwell Banker University, Chico's, and many more.